Facial feminization patients often ask how long is best to wait to have voice feminization surgery after a trachea shave, and vice versa. Here our experts give advice on the time to wait and the recommend sequence of these surgeries. What should come first? 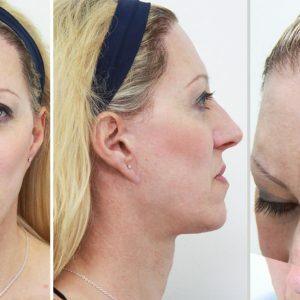 The voice feminization surgery or the trachea shave? In conclusion, if you have had a tracheal shave, you should wait a minimum of 3 months before undergoing voice feminization surgery. FACIALTEAM and Yeson Voice Center, as part of the TransHealth Initiative, have joined to establish a protocol and mutual philosophy regarding this frequently asked question in the subject of FFS. In the patient’s best interest, a tracheal shave should be performed first. 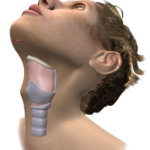 Unique to the ‘Vocal Folds Shortening and Retrodisplacement of the Anterior Commissure’ surgery (known as voice feminization surgery or VFSRAC) is that this technique perfectly modifies the male vocal folds to mimic the female vocal folds by removing 1/3 of the vocal folds membrane and internal tissue and then suturing them with permanent material using micro-instruments. Through this surgery, which is free of skin incisions, a natural increase in one’s base voice frequency is possible, providing transgender women with a permanently feminized voice. 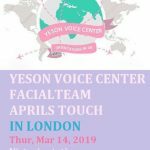 The specialists of Yeson Clinic and FACIALTEAM believe that the voice surgery will be more stable if there is no work done on the cartilage after voice feminization. Also, FFS requires oral intubation (the breathing tube used during surgery), which becomes complicated if the vocal chords have been recently operated. Question: I have had my voice feminization already and now I want to have an Adam´s Apple reduction, is that OK? How long should I wait to have the trachea shave surgery? Answer: Don’t worry, you still can have your Adam’s apple reduction, but you must wait a minimum of 6 months. 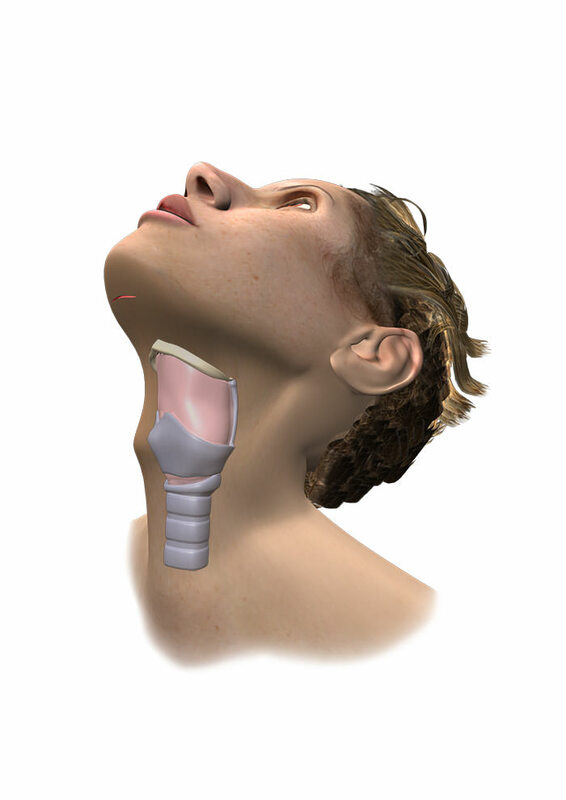 A trachea shave should be performed before voice feminization surgery. On the contrary, if you plan to have voice surgery first, you will be required to wait at least 6 months before having an Adam´s Apple reduction. During a trachea shave, we avoid a direct access to the thyroid cartilage (preventing unsightly visible scarring and adhesions). Careful diamond burring is employed to eliminate the anterior prominence of the Adam´s Apple, always taking care not to damage the attachment area of both vocal cords. 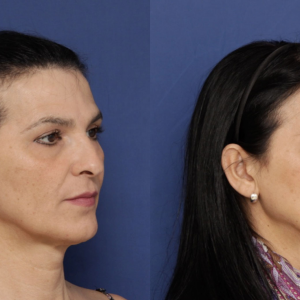 Voice feminization surgery is free of external skin incisions (intraoral approach), so after the two procedures you will not have any visible scars. 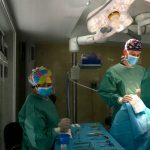 Voice surgery should be the last step in the neck feminization sequence in order to protect the delicate work carried out, which could be compromised if you have surgery in the same anatomical area too soon.